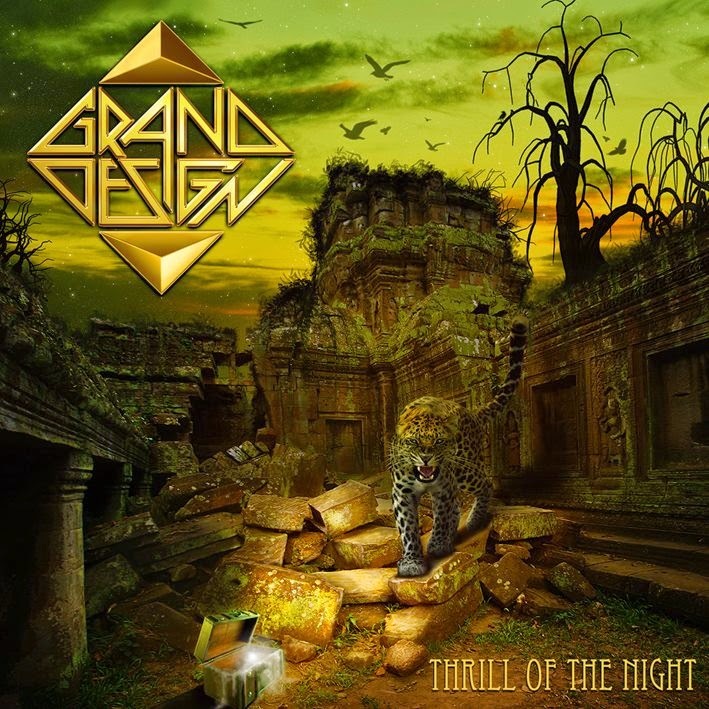 THEY'RE BACK JUST A MONTH AGO WITH A BRIGHT ROCKIN' ALBUM, THRILL OF THE NIGHT, NOW WE'RE TALKING WITH JANNE (GUITARIST OF THE BAND) TO NOW MUCH BETTER ABOUT THIS NEW ADVENTURE BY GRAND DESIGN! Hi Janne and welcome back on The Bible of Metal! You're still rocking with your new Thrll of the Night! The third album is always an important step for a band, how do you live this moment? We are very happy with the outcome of the album. It was just like we envisioned it. A bit heavier than ”Idolizer”, but still with the hooks and melodies. We also wanted to stretch out a bit with some new things, which I think we also managed. I’ve been partly involved with the band since the start, but this is my first album as an actual member of the band and I think we’ve managed to make a nice statement with this album. Which was the first song recorded for Thrill of the Night? Is there a song your on it that you loved much than the others? The first song we started working on, as I remember it, was ”When The Greatest Love Of All Kicks In”. This one was a collaboration where Pelle had the song and the vocal melodies, but Mats Vassfjord wrote the lyrics and wrote the solo section. The favorites have actually shifted around. One week I had one favorite, then the next there was some other song I felt was even stronger. I actually think we pulled off quite an even album with this one, so they are all favourites ;-). When I heard Rawk 'n' Roll Heart Attack for the first time I imagined that it would be perfect as first single from the album, for it's rocking riffing, could you tell us more about it? Yes, we felt the same way actually. When you work on an album you get very familiar with the songs and you also get favorites for different things, like this would be good for a single, this would be great live, this would would be the perfect single. Rawk ’N’ Roll Heart Attack immediately checked all the boxes for us. We didn’t even have an argument on which song to showcase first. Not that the other songs are any less good, but this one is more immediate and grabs you from the start. Will you focus on promoting your new album or do you already have some plans for a follow-up? Now we are concentrating on promoting this album with gigs and interviews. It will also be released in Japan in November. Whenever we come up with new ideas we just record them in a simple way and then when it’s time for a new album we open that box. We had a great time playing in Milano and Pisa earlier this year and I hope we will get the chance to come back and play the new songs live for our Italian fans! We had such a great time the last time!